11 oz. 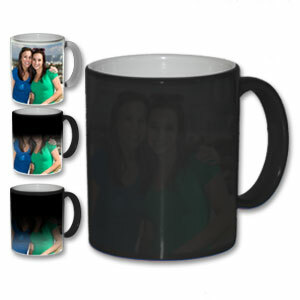 magic photo mugs make great photo gift! This unique photo mug changes color as soon as hot liquid is poured into them! Upon fill-up, the imprinted personalized photo & text will be revealed. Try it out! Color : Black, Photo/Design appears when hot liquid is poured in the mug.